Looking for a fun, easy way to learn the most family-friendly ASL signs? 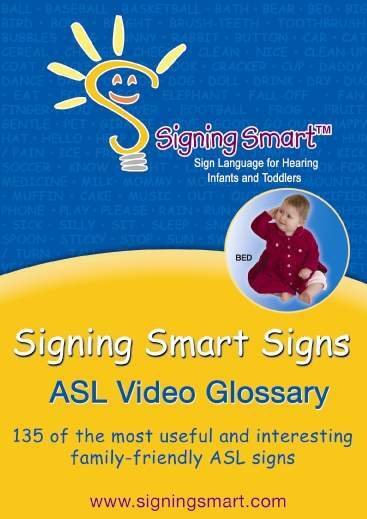 Then the Signing Smart DVD Glossary is for you! Each of the 135 sign videos is accompanied by the word on screen. The understandable signs, accompanied by the audio mnemonics, make learning the signs simple and easy.